Registration will be available on our website in the coming weeks. If you would like to be notified via email when registration becomes available, visit here. Also follow the event’s Facebook page to be notified of any updates. The conference and its companion events will take place over three days, beginning on Thursday the 22nd of September and concluding on Saturday the 24th. Friday morning’s session will explore the trials and tribulations of the early years of Dutch colonization in the region, with the afternoon session exploring the survival of Dutch heritage in New Jersey following the final transfer to the English. 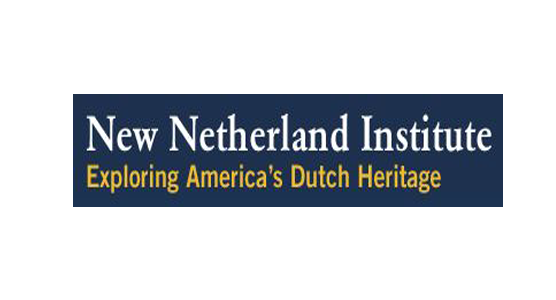 The program will be enriched with two additional sessions on Saturday morning, beginning with a panel discussion with NNI’s Emerging Scholars on their decision to study New Netherland. The morning will conclude with an edifying session on Dutch fortifications in New Netherland. Friday night’s dinner will feature a talk by Elizabeth Bradley, the author of Knickerbocker: The Myth Behind New York, a cultural history of New York’s first mascot, and the editor of the Penguin Classics Edition of Washington Irving’s The Legend of Sleepy Hollow and Other Stories and Irving’s A History of New York. 7:00: Dinner & awards at the Rutgers University Inn and Conference Center. The dinner will feature a talk by Elizabeth Bradley, the author of Knickerbocker: The Myth Behind New York. * Registration and all sessions will be held at the New Brunswick Theological Seminary.